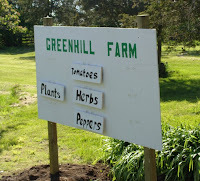 This weekend's project was to put up a sign advertising our excess vegetable plants. I was thinking of something smallish. Mike had (as usual: cf. the greenhouse) other ideas. I'm quite pleased with the end result, even if it is a bit enormous. I don't think it would win any prizes for sign-writing, but it fits in well with our home-produced ethos, so I don't really care! 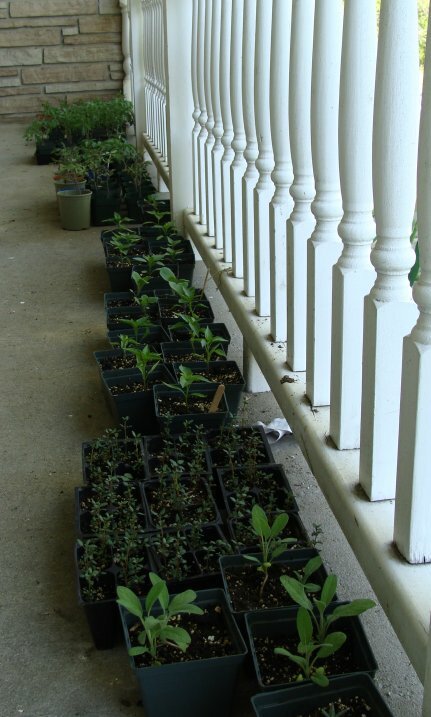 My 'shop' is the verandah at the front of the house. And the virtual shop window is at GreenHill Greens.